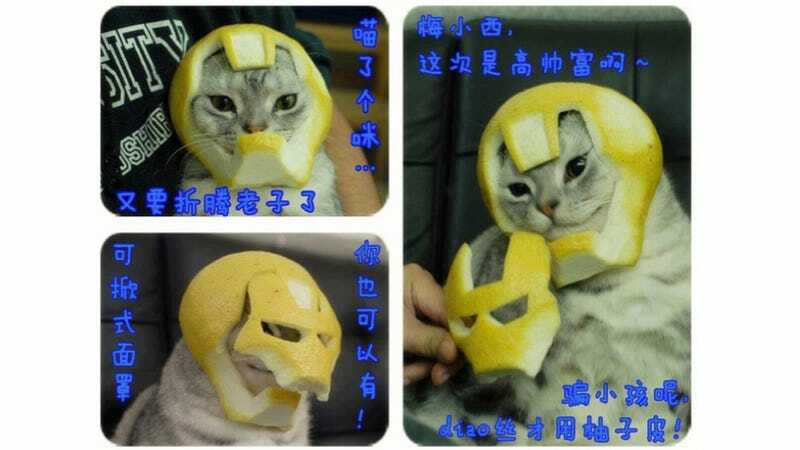 This Iron Man Helmet Was Made of Grapefruit. For a Cat. Cat cosplay is a thing. We've proven this over and over and over. So don't be totally surprised by this! Be amazed. At once, the above photo is both totally adorable and completely badass. Nice sculpting work, too. In case you are wondering, the grapefruit is what's called in English a pomelo. It's a large citrus fruit. How large? Large enough to put on a cat's head.